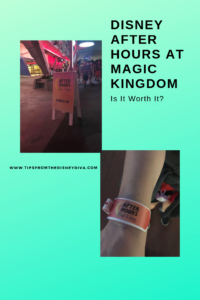 Disney After Hours at Magic Kingdom, Is It Worth It? Last year I wrote an article detailing our experience with Disney’s Early Morning Magic at Magic Kingdom and whether the experience is worth the hard ticket price or not. If you would like my take on that experience, you can read about it here. 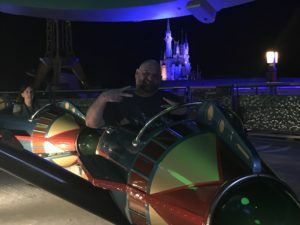 This year, my husband and I decided to give the After Hours event at Magic Kingdom a try and see which of the two we preferred. 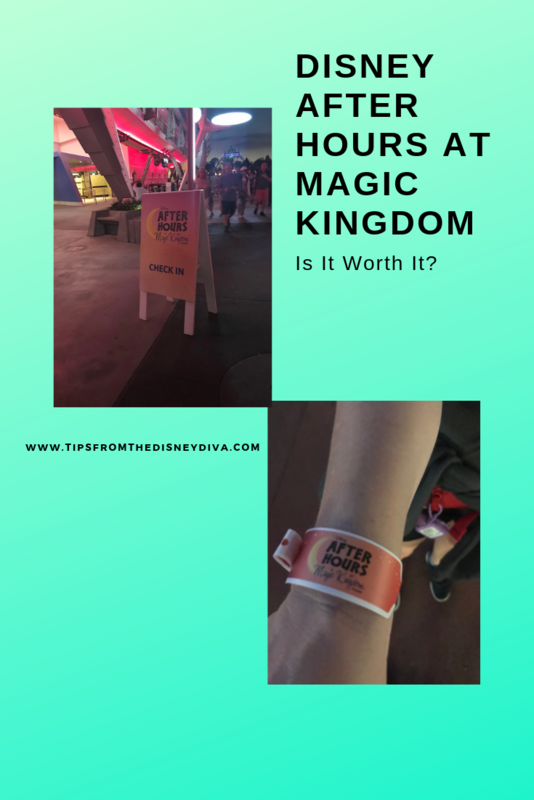 There were a few big differences between the Early Morning Magic and the After Hours that are glaringly obvious, the first being, naturally, the price of each event. These are both what are called “hard ticket” events, meaning a regular park ticket will not work if you want to attend one of these. You will have to purchase these tickets separately from a regular day park ticket. The price of the Early Morning Magic runs for $69, cheaper than the Disney After Hours ticket. There is a reason it’s cheaper, though. With Early Morning Magic, you only have access to a handful of rides and attractions, so you are pretty limited on which rides you will get to go on. You also get to enjoy a delicious buffet breakfast with Early Morning Magic at Magic Kingdom, so it’s a pretty good value when you factor that in. 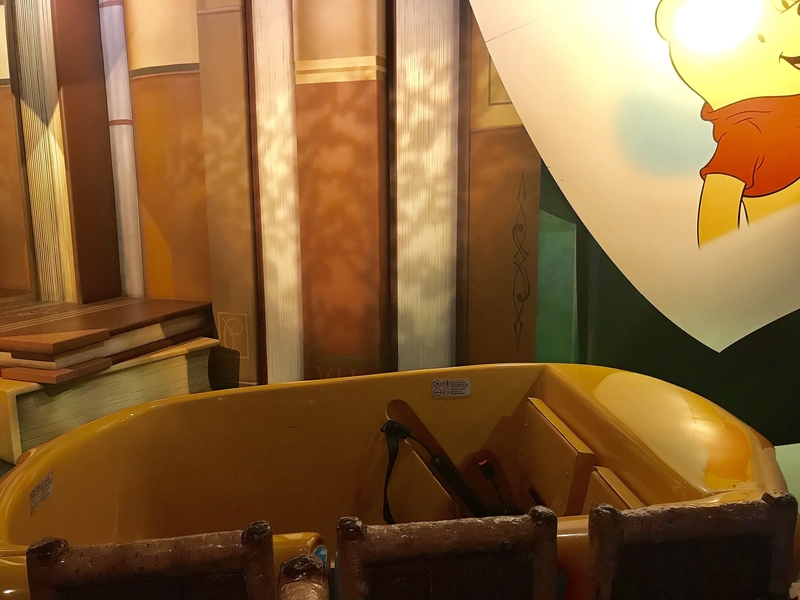 Most people purchase the Early Morning Magic because they want exclusive access to Seven Dwarf’s Mine Train. If you have been to Walt Disney World and tried to ride Seven Dwarf’s Mine Train, you are probably aware of the long wait times, the difficulty in getting a FastPass for it and the penchant this ride has for breaking down for long periods of time. That means, if you spend your $69 with the sole intention of riding Seven Dwarf’s Mine Train and it has the misfortune of breaking down, you could be in for quite a bit of disappointment. 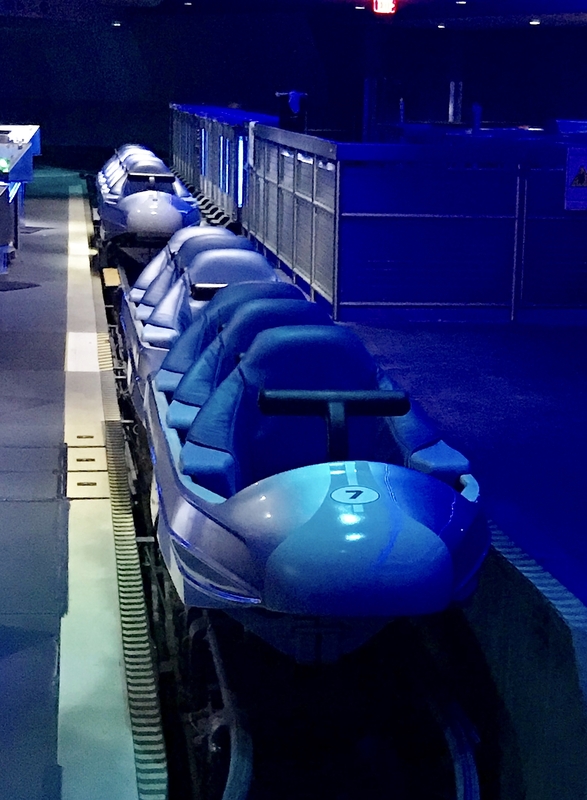 I’m sure Disney would make it right in the form of FastPasses, but you still aren’t guaranteed the ride will be up and running at all that day for you to even use the FastPasses. I do still recommend Early Morning Magic though, we really did have a blast and Seven Dwarf’s was only down a very short time for us, but I just want you to be aware of what could potentially happen. Now that we’ve covered what you can get for your money in this event, I would like to tell you about our particular experience with it. We attended the February 7, 2019 Disney After Hours hard ticket event. We actually spent the entire day at Magic Kingdom, so it wasn’t difficult to check in and get our wristbands when the time came. You can either check in at the front of the park or just inside Tomorrowland there is another check in spot. They did not give us a guide of what would be available to us, I had to specifically ask for one, so be aware that they do have them even if they don’t hand them out, you just need to ask. As the hour of the After Hours drew near, we noticed that Seven Dwarf’s Mine Train had broken down. Shocking, I know. 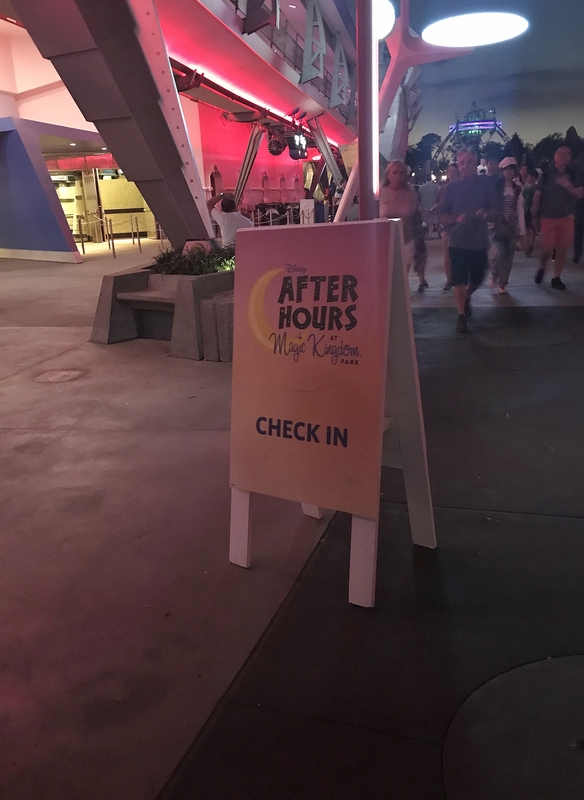 We weren’t sure if it was a way to usher day guests out of the line so people who had paid for the After Hours wouldn’t have to wait as long or if it really was broken down, so we kind of hung around the entrance until it was officially time for the event to begin. Sadly, the park closed to the day guests and the realization dawned that yes, it really was broken down. It wasn’t that huge of a deal for us, but we saw quite a few angry patrons who only paid for the event with the specific goal of riding Seven Dwarf’s. I really don’t recommend you buy these tickets with that one goal in mind, I’m telling you, if you do, you are doomed for disappointment. We trekked over to Big Thunder Mountain since we couldn’t ride Seven Dwarf’s. The park was still emptying, but it was pretty nice to see so many leaving while we still had three hours of fun left. 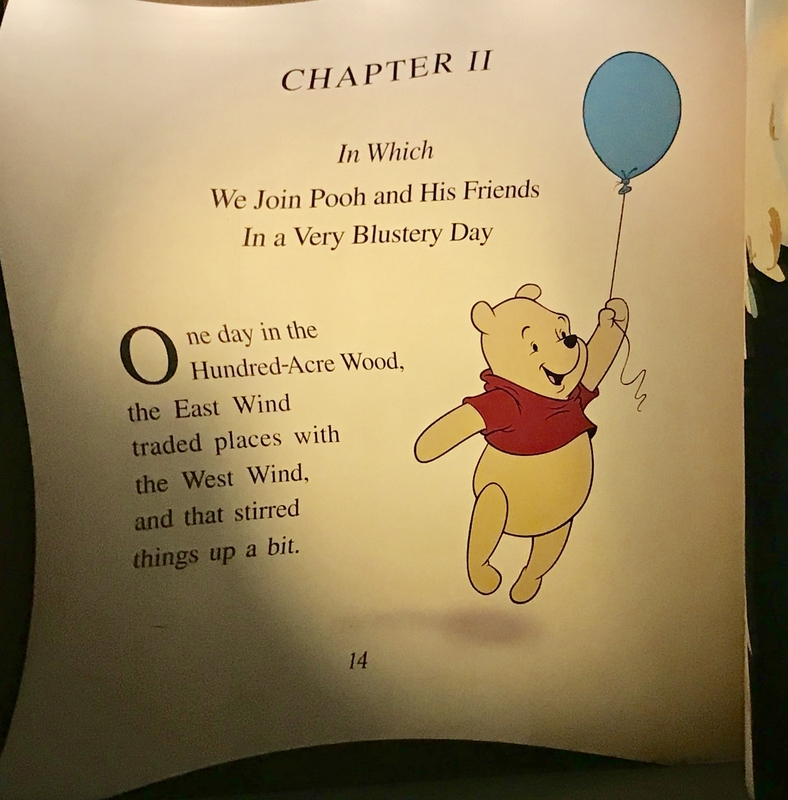 When we got to Big Thunder, we were a little surprised that we had to walk through the stand-by line, we just assumed that everyone would go through the FastPass line to be quicker. 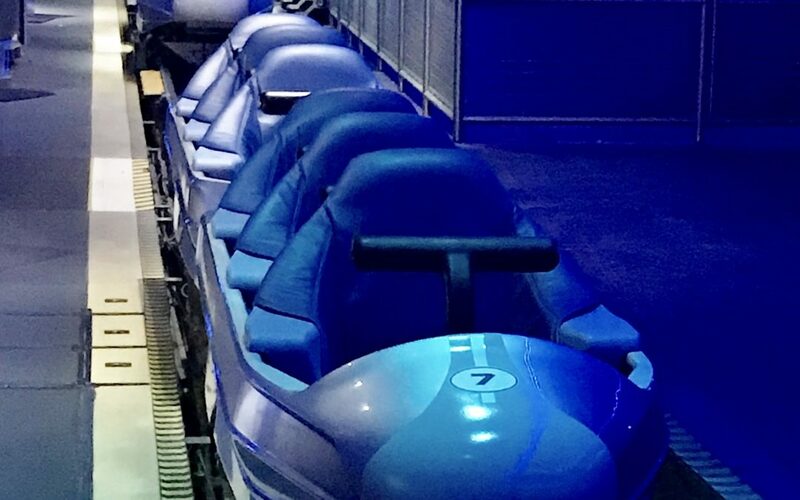 We realized there were still quite a few day guests in line waiting to ride, they have to let those who were waiting in line before park closing ride before making them leave the park. That was frustrating for a lot of us, the wait behind the day guests did cut into our paid 3 hours. We also noticed they were pulling some of the trains out of action, causing a longer wait. In my opinion, Disney should begin the After Hours event about 30 minutes after park closing to give the day guests who were in line a chance to ride and leave without cutting into event time. We witnessed a few angry event guests outside of Big Thunder as well because of the wait time. After riding Big Thunder twice, we headed back to Fantasyland. Seven Dwarf’s was still down with a line of people waiting in the hopes of it coming back up. We opted to take advantage of our party time to hit up Peter Pan and Winnie the Pooh. 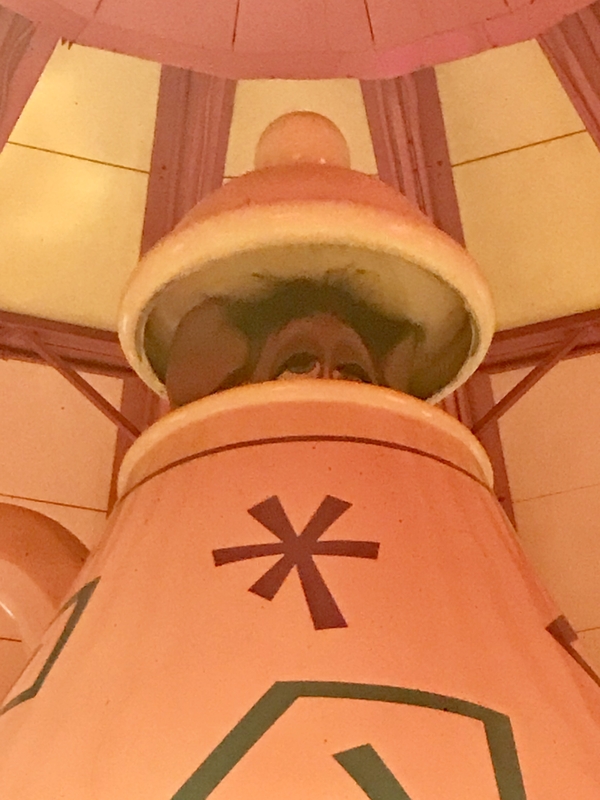 After exiting Winnie the Pooh, we noticed that Seven Dwarf’s was back up…finally. We hopped on it with a slight wait due to all the guests who had been lined up waiting, but it really wasn’t a long wait. After riding it once, we decided to go to one of my favorites, Space Mountain. We were a little surprised again at Space Mountain because there was a slight wait. We noticed that they closed down one side of the attraction, which was causing the wait time. 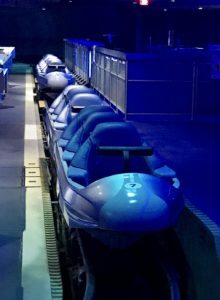 I understand that they technically didn’t need that side open with such a small crowd, but it would have been nice to experience those “no wait times, walk right on” moments I had heard so much about. 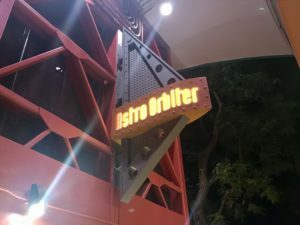 From there we decided to go ride Astro Orbiter. This ride in particular, we had not ridden since our first visit in 2009. The reason being the long wait times it usually has compared to the ride itself only lasting what seems like 30 seconds. There was no wait this night though, so we rode it quickly, and decided we were happy not riding it for another 10 years or even forever (I wasn’t a huge fan of it.) 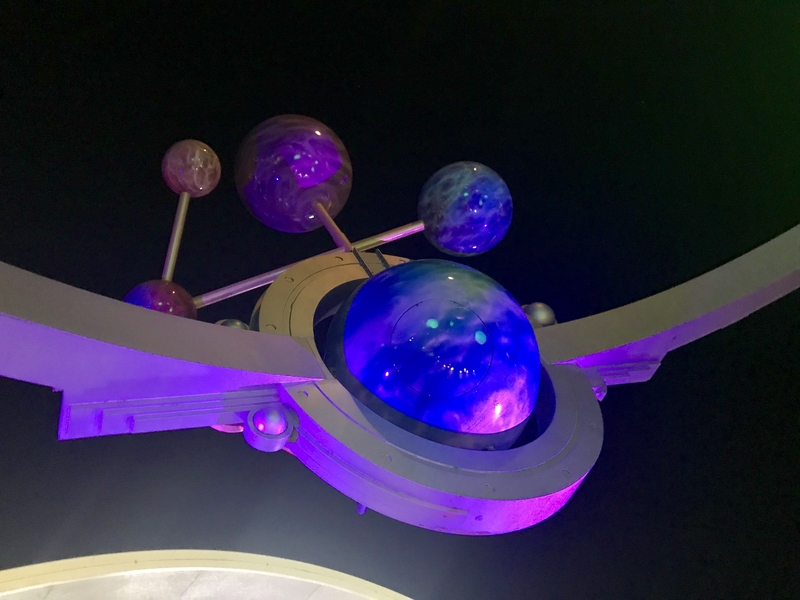 We decided to attempt to defeat Emperor Zurg on Buzz Lightyear Space Ranger Spin a few times before heading back to Space Mountain. From there we thought about heading back to Seven Dwarf’s when we noticed that yes, it was down again. All in all, we really did have a great night, it was a lot of fun. Though some of the rides had a short wait, we made the most of the time we had. We enjoyed a couple of ice creams and some popcorn. We rode attractions 15 times in the three hours we were there, so I call that a success, even if Seven Dwarf’s was only up and running for about 30 minutes that night. 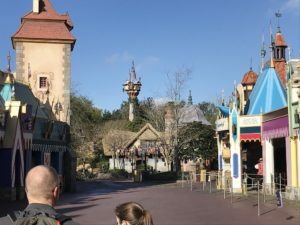 Things I think could be improved are, as I said, start the event at least 30 minutes after park closing to let the guests who were already in line ride and leave. I don’t think they should pull trains or close half of an attraction and cause longer wait times. I also think it would have been better to have the guests go straight through the FastPass line instead of making us all walk all the way through the stand-by line, I’m still confused on why we had to do that. That’s a pretty short list of what needs to be improved though, so it really was a value for the money spent. 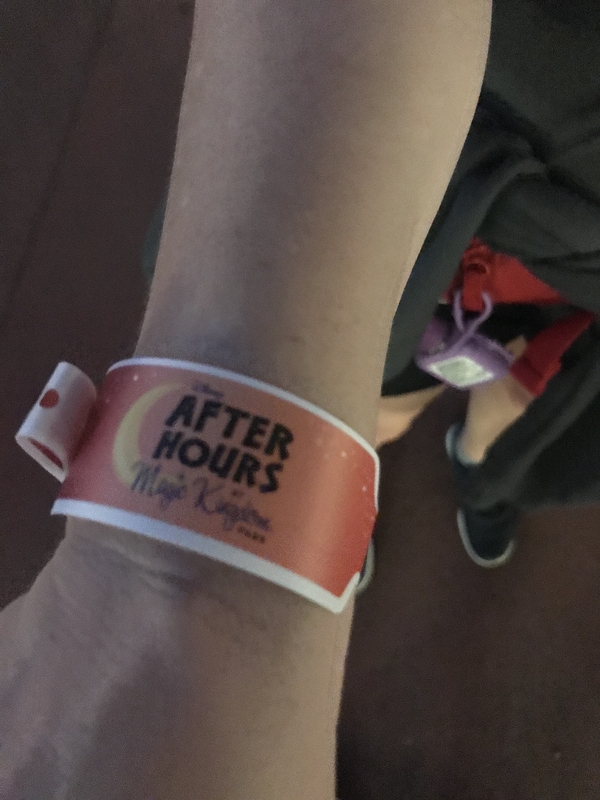 So far, I’ve only tried the two Magic Kingdom events, but I’ve heard great things about the Early Morning Magic and After Hours at Hollywood Studios and Animal Kingdom as well. Perhaps next year we will attempt one of those. 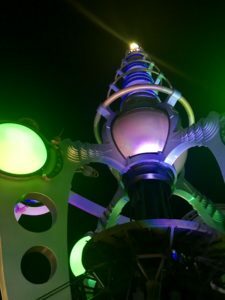 Are you ready to start planning your magical vacation, possibly even attend an After Hours Event, but you aren’t sure where to start? Contact our recommended travel agent, Patricia at All Dreams for Travel, and she can do all the work for you. Best of all, all of her services are FREE, all you have to do is click here to request a quote! 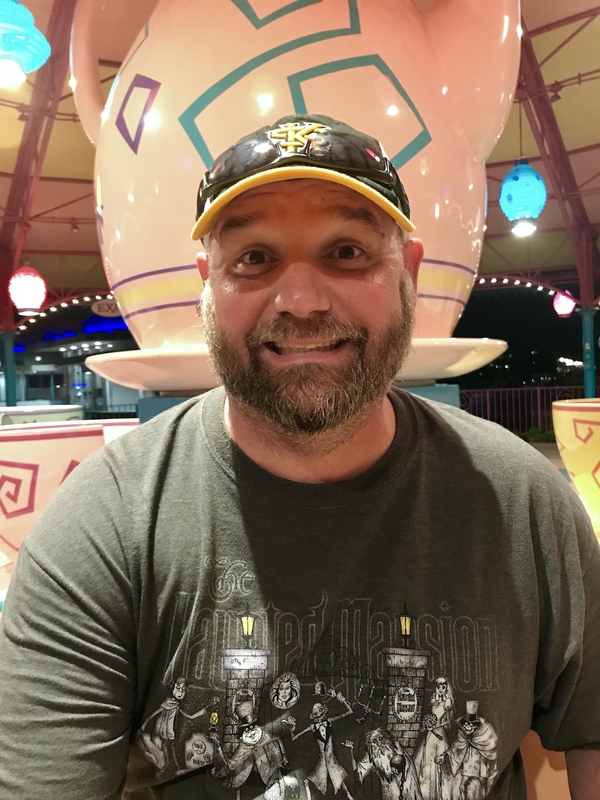 How Much Disney Magic Can I Handle In One Trip? Disney’s Early Morning Magic: Is It Worth the Price? Are You Brave Enough For Sorcerers of the Magic Kingdom? 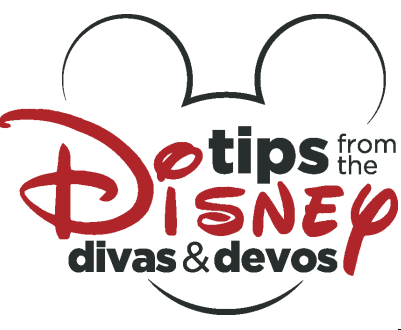 Hi, I'm a Disney loving wife and mom to two awesome Devos. We love all things Disney and when we aren't at WDW, we are usually planning our next trip there! I love to give tips on how to make your WDW trip better. I went to this event with my 16-year-old last summer and we LOVED it! The only bummer is it’s hard to take pictures since it’s dark (which is a bummer because the park is EMPTY and it would have been fun to get better photos) but we highly recommend it! I didn’t even realize that this event existed! Wow, that’s a ton of $ for a few hours..but great tips on making the most of it!